There are lots of LGBTQIA people serving in all kinds of ways in our church - Sunday servers, Vestry members, staff, our former Senior Warden, our Priest Associate. All are welcome at Saint David of Wales. Are there any LGBTQ+ people on your leadership team? There are lots of LGBTQIA people serving in all kinds of ways in our church - Sunday servers, Vestry members, staff, our former Senior Warden, our Priest Associate. 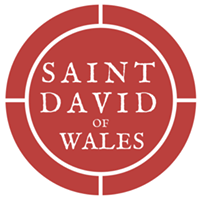 All are welcome at Saint David of Wales.